Telegraph Travel has published an article listing ‘10 destinations that are better than you thought’, and among them is Albania in the 9th place. As telegraph writes ‘we judge a place or adventure by reputation”, and it shouldn’t be like this at all. Albania getting a nickname “the country of bunkers”, isn’t all about the dark communist past. 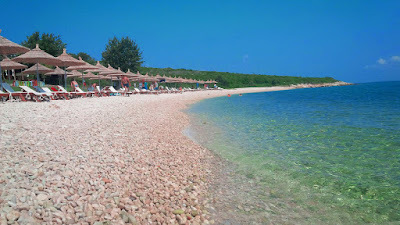 In fact, tourism in Albania is blooming. Read the experience of the Telegraph travel writer Chris Leadbeater. Just below the lounge, with its cushions and coffee pots, I could see several short flights of stairs descending carefully towards the sea. I followed them, past the swimming pool, down the cliff-face to the beach. Although it was still relatively early, just after 9am, a group of young guests was already stationed on the shingle. One of them decided that her time had come and, fixing her brown hair in a ponytail, took a running leap from the rocks. Momentarily, I lost her, her outline devoured by the swarthy green of the Karaburun Peninsula beyond. But then she landed with a giant splash, surfaced with a smile – and, letting out a whoop of unfettered glee, demanded that her friends join her. They required no second invitation. It was a scene that could have been staged on a hot afternoon on the Italian Riviera – the boutique retreat, the youthful abandon, the private beach, the decadent beauty of the setting. Indeed, the comparison might not be so far-fetched. At this point on the map – the crooked elbow where the Adriatic and Ionian Seas meet – Italy is just 60 miles west. But the Hotel Liro does not sit in Puglia – or, indeed Liguria. 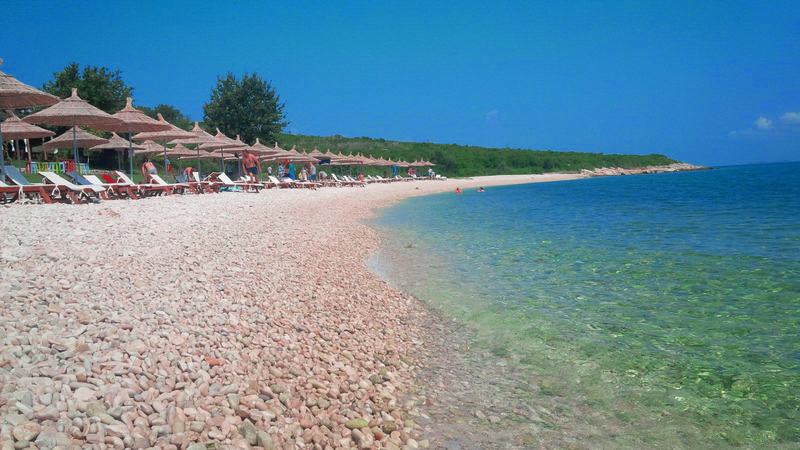 It is tucked into the shore at Radhimë, just outside the city of Vlorë in southern Albania, where preconceptions linger. Mine included. I had travelled to one of Europe’s last “hidden” destinations, well aware of its past and its image – the half-century of Communist rule which endured until 1992; a reputation for breeze-block hotels rearing in unlovely fashion over dull sands. I had found the latter, not least in second city Durrës, with its humdrum high-rises at the water’s edge. But I had found something else, too. Although Albania built badly in the domestic tourism boom which followed the parting of its Iron Curtain, it left alone much of the lower half of its 296 miles of coastline. Radhimë feels unspoiled, chic even. As does little Orikum beyond it, where the landmass kicks up, forcing travellers over the twisting Llogara Pass, the road chasing its tail towards Saranda and the Greek border – elevated viewpoints showing a gorgeously unsullied panorama, mountains plunging steeply to surf and spray. Where was the concrete brutality I had assumed to be total? Not here.